California’s avocado season kicked off this month — it runs through September — but prices for growers continued to stay depressed. Sad, but true, this was the case despite a 50 percent rise in per capita U.S. consumption since 2010 from 4 pounds per person to 6 pounds, and decreasing production due to water-challenged groves going out of business. Many blame imports from Mexico, and to a lesser degree Chile, as responsible for depressed wholesale prices and a year—round supply with avocados flooding into the market even when Escondido, Valley Center, Fallbrook and Temecula production goes dry for winter. “The supply of California avocados will be strong from both the southern and northern growing regions of the state, where avocado trees thrive,” Jennifer Harrison said Tuesday on FreshPlaza.com, an industry monitoring source. Harvest is expected to peak early in the summer. Demand, according to Varvel, is steady and strong throughout the year but peaks during the California season. 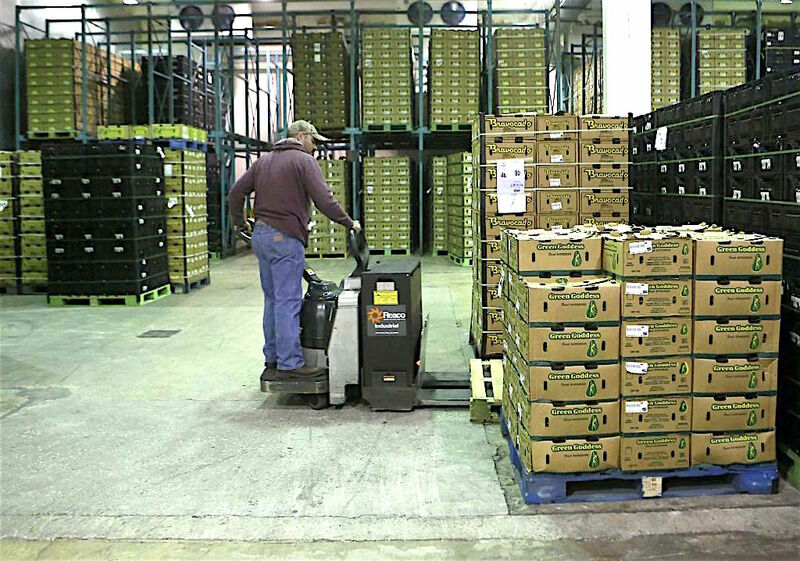 “Demand may dip a bit after the Super Bowl as people get their fill of avocados during that event, or if the weather gets bad, we see a dip in consumption, but I think that happens with any commodity,” Varvel said to FreshPlaza. Avocado demand is extremely strong in the retail and the food service industry, especially in the Southwest and both coasts, according to analysts. However, prices not so much. F.O.B. (Free on Board, basically wholesale) prices were well below those from last season, according to industry analysts. Henry Avocado’s San Antonio, Texas marketing hub. Much of the avocado supply for U.S. markets is also coming from Mexico, which currently has an abundant supply of large sized avocados that are priced to sell, leaving much of the medium fruit behind, according to Varvel. “In a sense, the excess supply of the large sized avocado is affecting prices in the whole market,” Varvel said. Average avocado retail sales prices kind of slip and slide like the price of gasoline from week to week. the latest industry figures provided by the Hass Avocado Board showed the price of an avocado went from 76 cents on Feb. 7 to 88 cents on Feb. 14 to 94 cents on Feb. 21, the last reporting dates. January prices were around 93 cents per large Hass avocado.Organic avocados Were $1.44 on Feb. 7, $1.37 on Feb. 14 and $1.45 on Feb. 21. As for production volume, the Hass Avocado Board projected 11.7 million pounds this week from California, compared to nearly 28 million pounds from Mexico and 500,000 pounds from Chile. California production was projected to range from 14 million pounds per week to 16.5 million pounds per week through June. Phil Henry, managing owner, left, with another managing owner Vic Varvel at the packing house. Mexican production was projected to range from a high of nearly 34 million pounds in mid-April to 28 million pounds at the beginning of June. Chilean production would hover around 100,000 pounds during that time period. San Diego County grows one-third of all avocados grown in California. The state produces 95 percent of al all avocados grown in the U.S..
Over the last 10 years, avocado acreage in the county has dwindled from around 30,000 acres to 18,000 acres. and expected to drop to 15,000 acres in the next two years. Total avocado crop value was nearly $198 million in 2013. Henry Avocado with headquarters at 2355 E Lincoln Ave. was founded in 1925 by Charles and florence Henry who were among the first growers to plant avocados in San Diego County. The original Henry farm has been in continuous production since then and serves as the company’s headquarters. SD County homeless student count reaches record high. How real are the numbers? 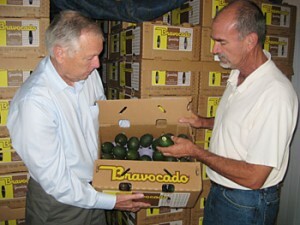 1 Comment on "Escondido avocados plentiful, wholesale prices not so much"